Who doesn’t love a nasty boot for fall?!?! As predicted by the Fall 2014 runway shows, the season’s new IT shoe will be the cutout laceup bootie! I’m wiggling in my seat just thinking about how versatile this trend is. Cutout shoes in general make great transitional footwear because they allow your feet to breathe without being too exposed. They would pair perfectly with a great pair of ripped denim, tee, and moto jacket or be just as cute with a midi skirt and blouse. 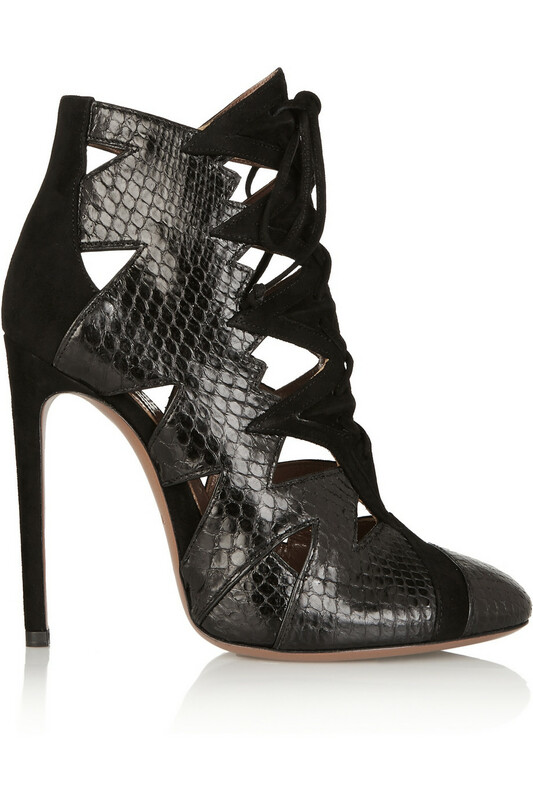 No matter how you slice it, you need a cutout laceup in your closet ladies! Here are a few of my tops picks that I NEED in my life asap! So you’ve seen my picks, now time for yours. What style and color do you look for when picking a fall shoe? Let’s hear it!